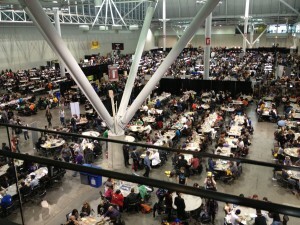 PAX East 2012 – What Games Did We Play? 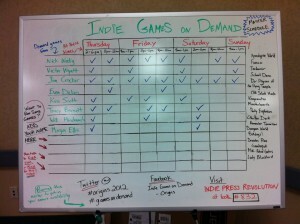 The following is a report of the games that were run at Games on Demand at PAX East this year. In each case, the game title is listed with (roughly) the number of players at the table. This information is a best guess, and our records are sketchy. The number of players are definitelyÂ wrong in places and we probably missed a few games. Similarly, many of these times are not accurate. It may say 2pm but the game may have actually started at 1:30 or 3pm. We had 6 tables but at some point we borrowed 3 more and had 9 games going on at the same time. A significant portion of the GMs were people who had played games with us, loved GoD, and came back to run games for us! Several games had audience members just watching. We had a significant number of people who had never roleplayed before but we didn’t track those details. We didn’t record how long games ran. They ranged from 30 minutes to 1hr, 2hrs, 4hrs, and 5hrs. 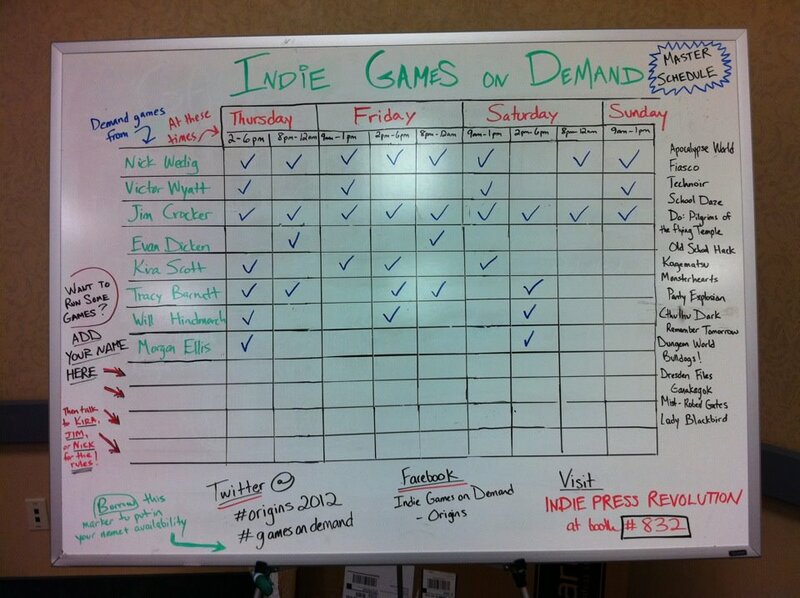 Here are a few snapshots from Games on Demand at PAX East. 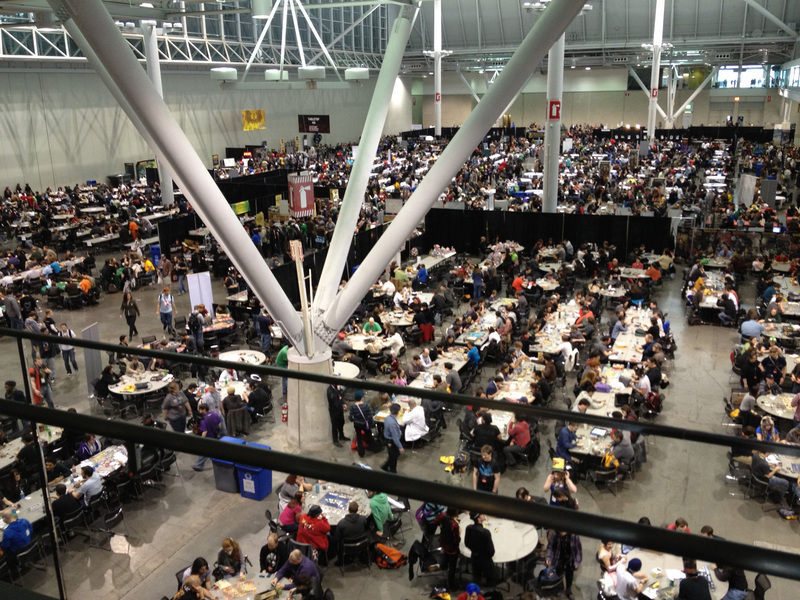 The event, like the rest of the Tabletop hall, was packed most of the weekend. Here are some of our awesome GMs running games for enthusiastic attendees. Notably absent from these pictures is Terry Romero, who really held down the fort the whole show. I think she talked to almost every player who sat at one of our tables!